The Maggy Haves School is a progressive, child-centered environment. We approach education with confidence in young children to participate in the learning process. One of our central goals is to give children a greater understanding of their emotional process and how that affects their actions and behaviors. 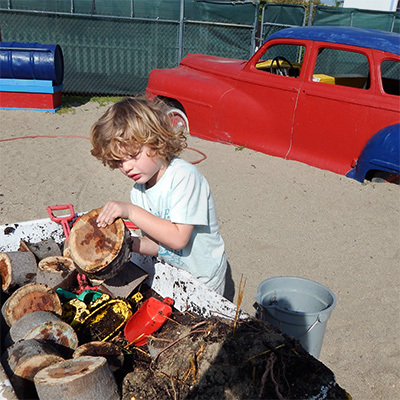 Because all aspects of growth are interrelated, our curriculum considers the intellectual, physical, emotional and social development of the child. Learning is optimized when emotional and social growth are nurtured simultaneously with intellectual opportunities. Children at Maggy Haves are able to articulate their experience and thoughts because they know that their words and ideas are important. From this place of self-understanding, they learn how to communicate, answer their own questions, and find resolutions to social challenges. Progressive education emphasizes the development of the skills that are essential for learning. For example, social-emotional awareness, problem solving, and cooperative learning are some of the key elements of the curriculum. At Maggy Haves we believe that these tools are the foundation for students to deepen their understanding of themselves and the world around them. At Maggy Haves, we have a deep respect for childhood and the stages of child development. For example, we know that the youngest children are not able to understand “sharing” as a concept, though they are capable of making plans for taking turns. Making a plan communicates that each person’s ideas, feelings and experiences are listened to and deeply valued. This in turn, contributes to a child’s sense of control and well being in the world. With this eye for the subtlety of development, we pay careful attention to what each child needs at critical phases as we facilitate moving on to the next stage. Going at their own pace, we encourage children but do not pressure the learning process. Children are natural learners and come to school already processing and using essential knowledge gained from their own observations and experiences. We respect that children play an active role in the learning process and we present opportunities for exploration and reflection to optimize their growth. Intellectual development is a very important part of our curriculum, though it is not presented in a formal, structured manner with an academic approach. We are facilitators who guide children to seek out their own answers by engaging with materials and with their peers in order to make sense of the world around them. We create an environment to which they can respond; one in which they can feel; one that they can mold, invent and improvise, take apart and put together; one that they can master. 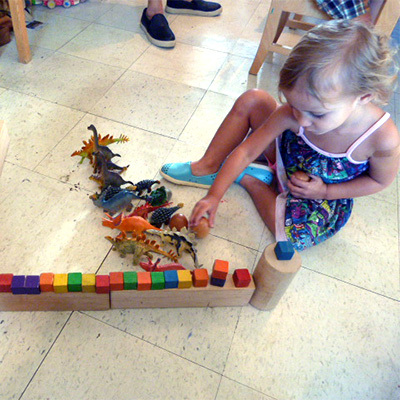 Dramatic play, dictation to teachers for letter and story writing, and use of basic materials such as blocks, clay, paint and water, are some tools through which they practice communication and self expression. Children pose questions, solve problems, and experiment in a safe, supportive environment where trial and error, misunderstandings, and mistakes are a valued part of the process. 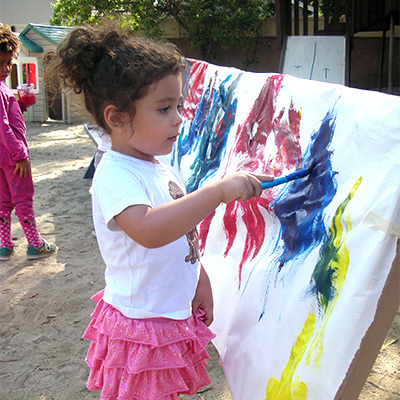 Children express themselves in a variety of ways relevant to their world, therefore they are able to engage deeply with their learning, and thrive as a group and as individuals. 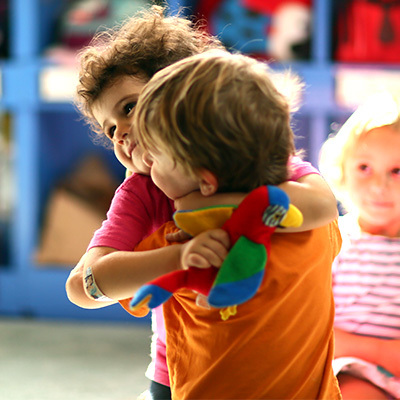 As children at Maggy Haves pursue their questions and ideas as individuals, they also develop their sense of group responsibility and ability to engage in daily social interactions. Teachers deeply value each child’s perspective and are committed to facilitating communication among the children — a well-known phrase among the community is “let’s make a plan.” This approach provides invaluable experience with negotiation, compromise, and contribution to collective efforts. Social development goes hand-in-hand with children’s cognitive and intellectual growth. Allowing children the time to fully explore and master their individual and social efforts fosters their understanding of the world while continuously building a strong foundation for life-long learning.